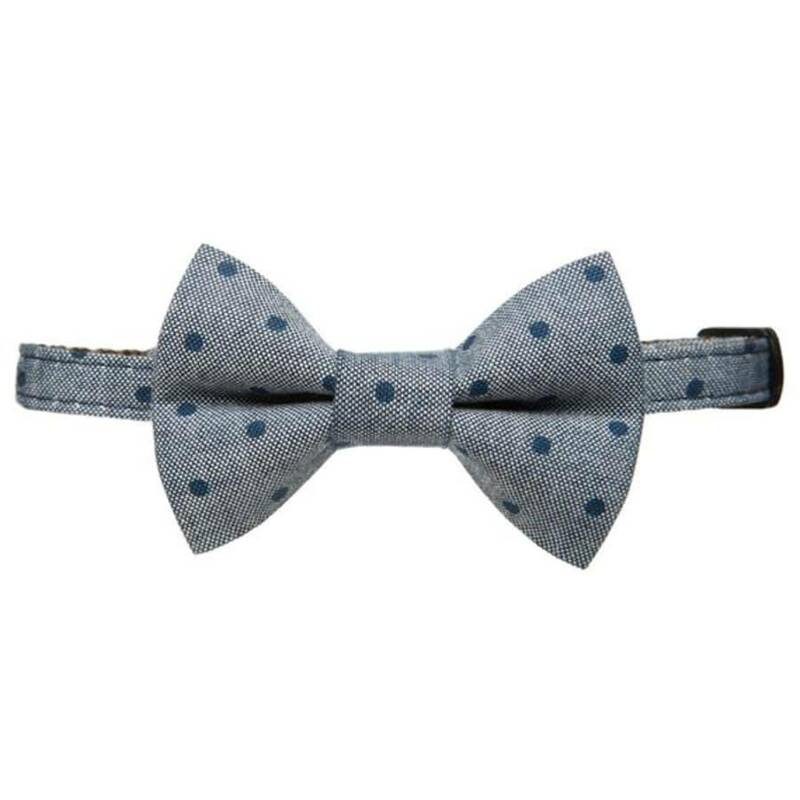 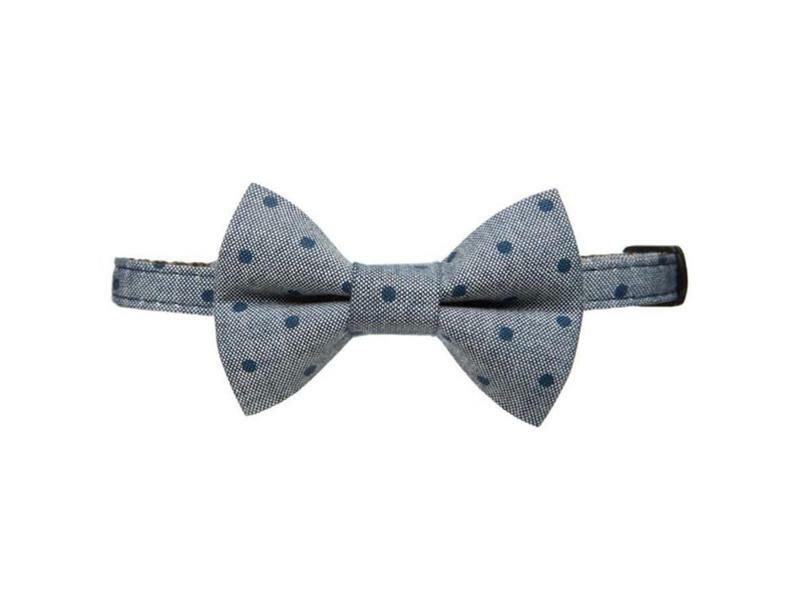 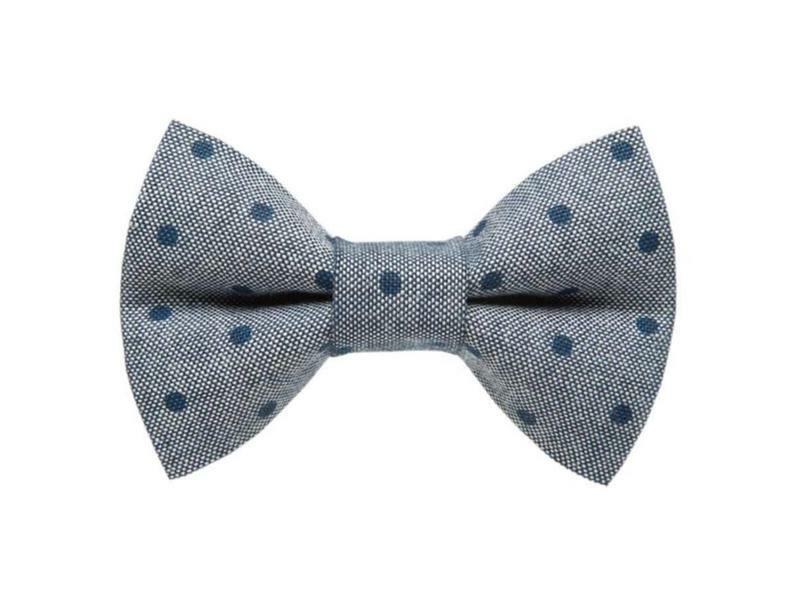 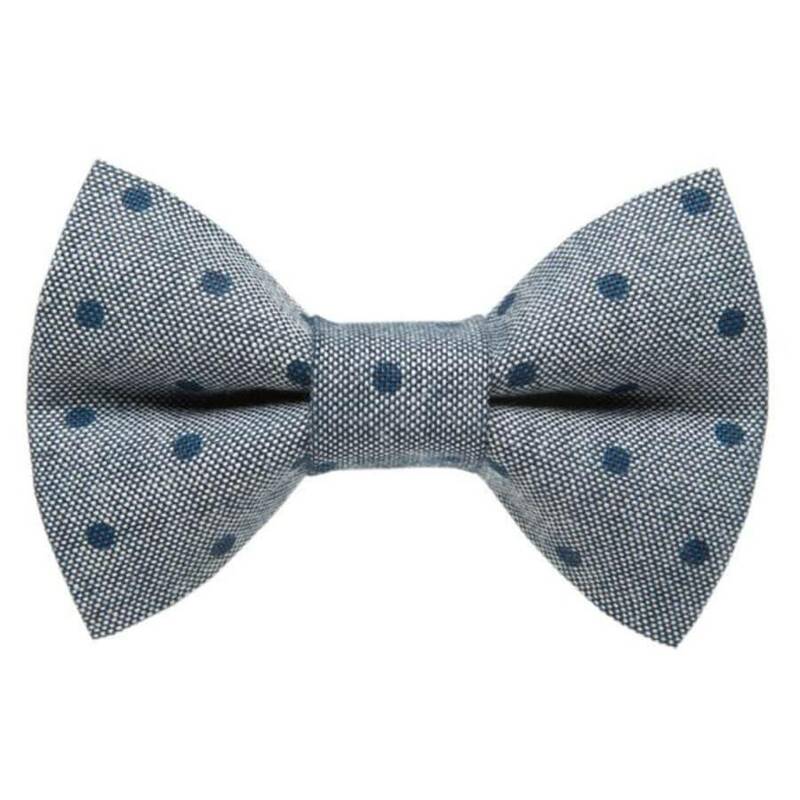 Home / Cat Collar & Bow Tie, "The Corner Office"
The Corner Office bow tie and matching collar pairs perfectly with big decisions and lunch meetings and features blue dots on navy chambray. 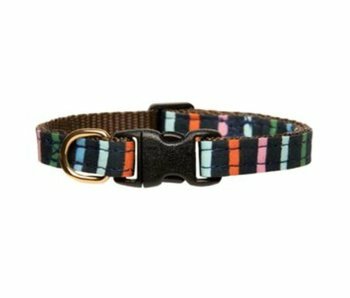 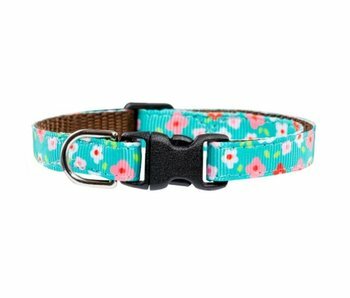 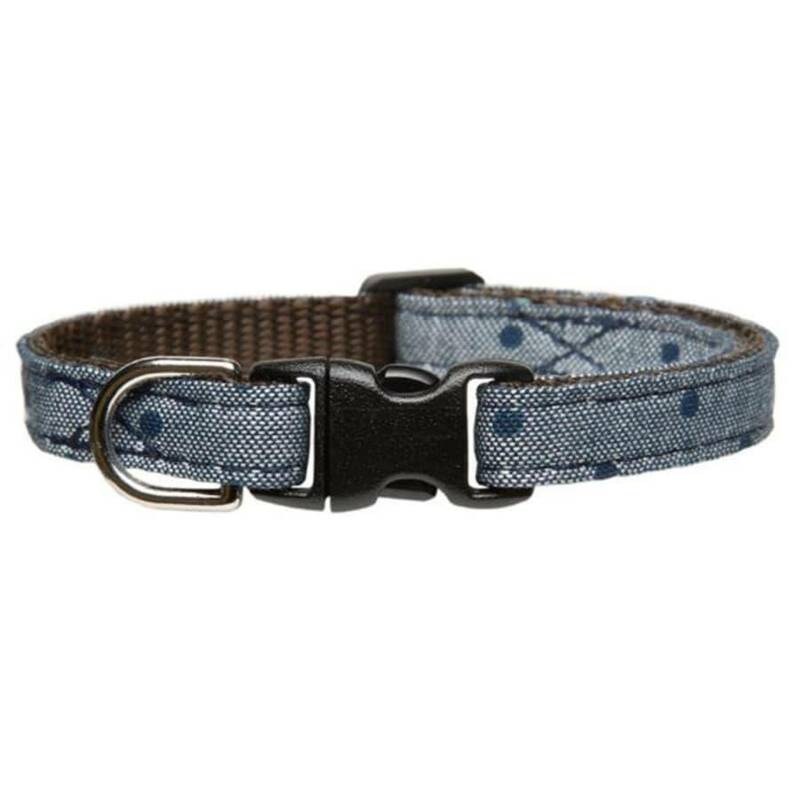 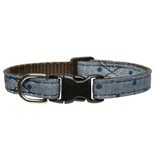 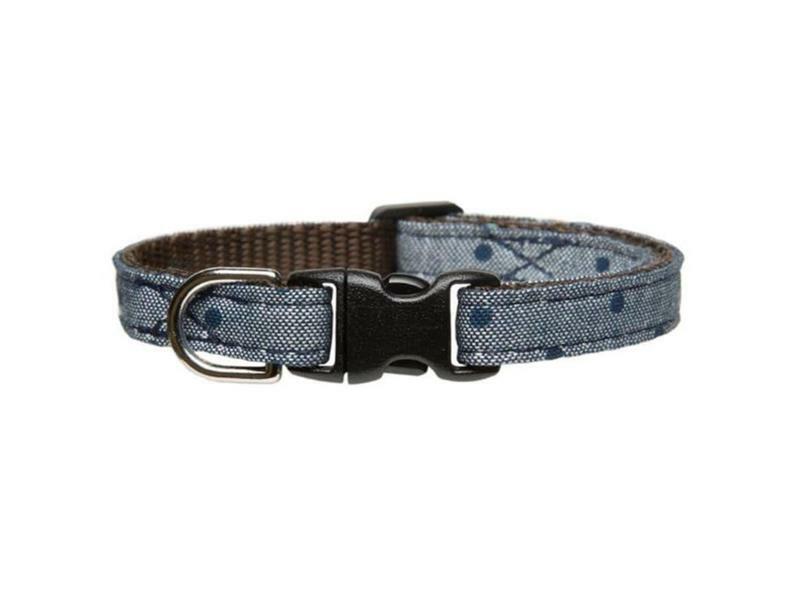 All collars feature breakaway buckles and removable bells for cat safety and should not to be used with a leash. 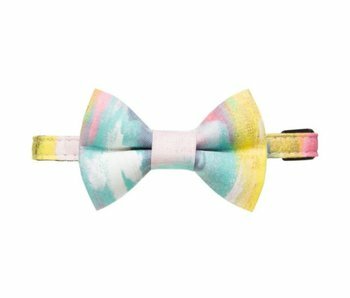 Bow Tie features an elastic loop for easy put on and take off. 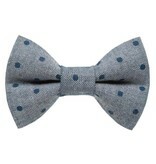 Bow tie is roughly 2.75" x 1.75". 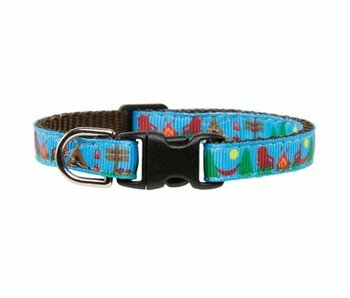 Sizing: Kitten fits necks 5-8"